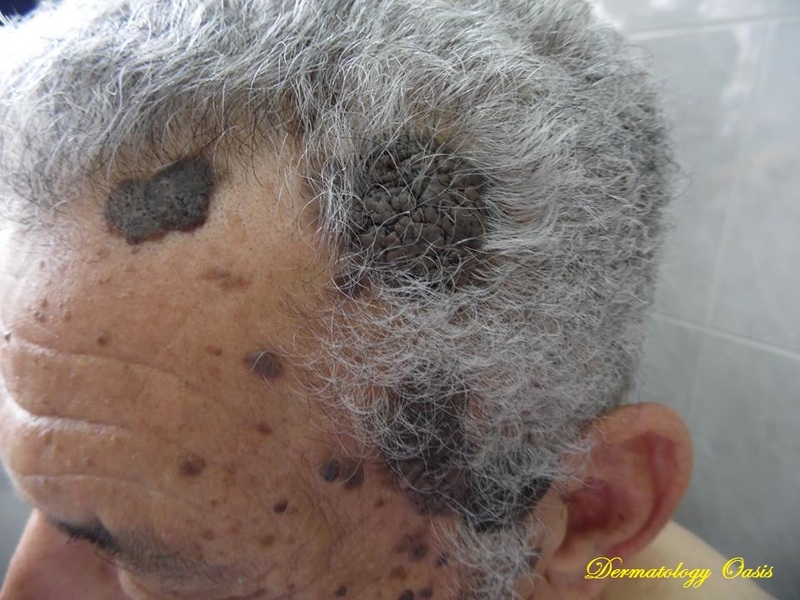 A 65-year-old man presented with multiple, asymptomatic, hyperpigmented, verrucous plaques with a velvety-like surface invomlved the face, trunk and extremities of many years duration. 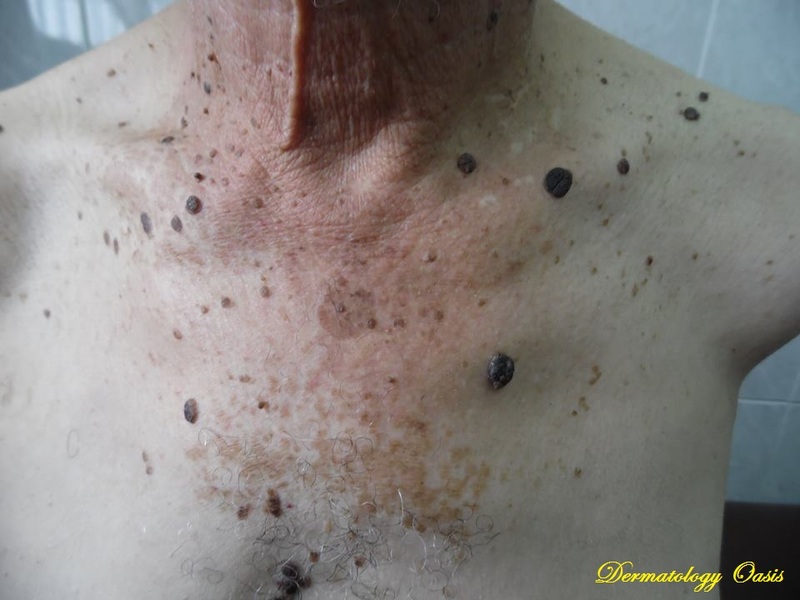 Many lesions especially those cosmetically significant were threated through many sessions of cryotherapy. Case presented by Dr. Ayman Abdelmaksoud, MD (Egypt).